The epic saga of the heroic pioneers who struggled and fought, lived and died, to stake their claim on the untamed American frontier. . . Western Missouri. Former army scout Jack Gregory returns from battle to a homestead in ruins. A wanted man with no place to go, he chooses an even deadlier career--as a scout for General George Armstrong Custer. Under a new name, Jack serves bravely in the Seventh Cavalary. 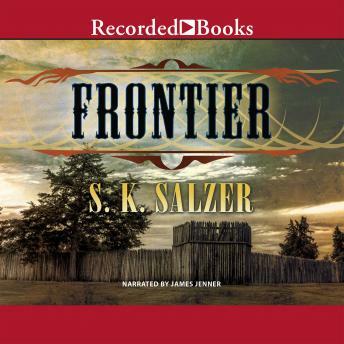 But when Custer's disastrous leadership ends in devastating slaughter, Jack sets off to forge his own destiny. Winning a small ranch in a card game, he hopes to settle down and live a peaceful life. But with the Cheyenne nation rising up to defend their land--with nightly raids on innocent settlers--there can be no peace for a scout like Jack. Only a man of his experience is skilled enough to infiltrate Cheyenne territory. Only an outcast with nothing to lose is crazy enough to face their war chief--man to man, one on one. Warrior or peacemaker, friend or enemy, these are the courageous men and women who risked their lives for freedom, justice, and a dream. This is the story of America.